This is part 4 of a 5 part series exploring some of the pen-and-paper settings which have come to my mind as a result of contemplating that question. Note that, unlike most of my other posts where I refer to PnP RPGs, in this series of posts I’m talking about setting, not system. I’m not presenting in any particular order, either… just posting them as they come to hand while I scan across my bookshelves. The Cthulhu Mythos of H.P. Lovecraft is one of those settings that you either love or loathe, it seems. 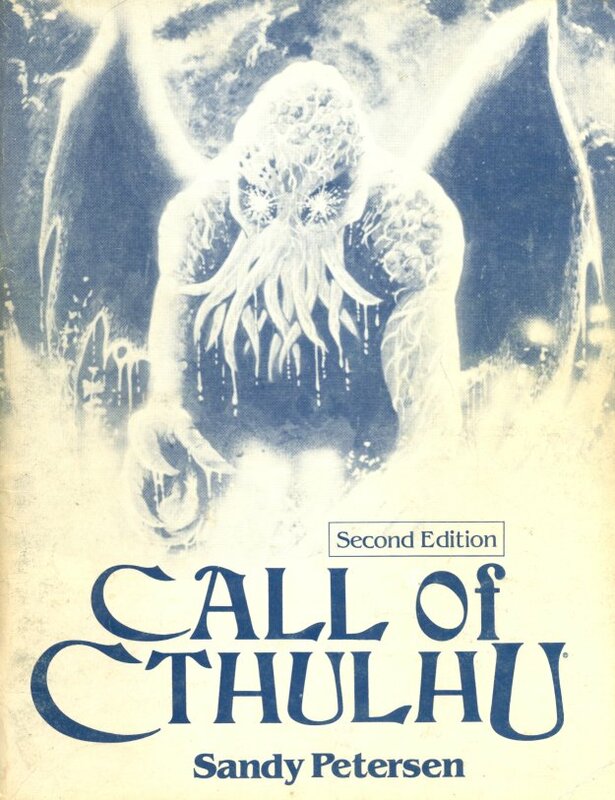 The stories themselves are masterworks of otherworldly horror, and many of the fictional places and names HPL created have worked their way into the mainstream of trivia knowledge: Miskatonic U, Innsmouth, and the Necronomicon in particular are names that many have heard, even if they don’t realize the original source of the name. 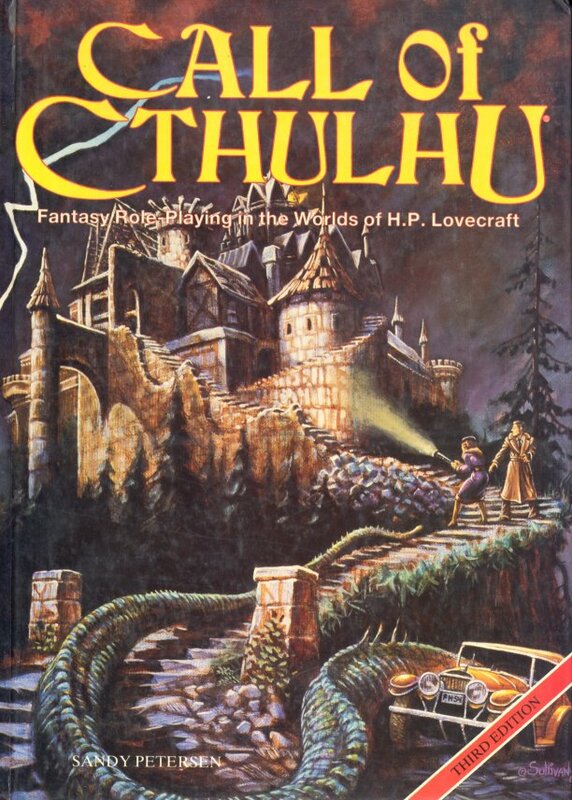 The Chaosium RPG set in the world of the Cthulhu Mythos does a great job of giving the GM the tools to recreate the feel of those stories and the world of Lovecraft’s vision in general: a thin veneer of “normal” hiding unfathomed depths of alien savagery and sanity-shattering powers. I’ve mentioned the Mythos as a possible setting for an MMO before, so I won’t rehash those same details here. To summarize, I think the perspective easiest to pursue is that of the shadowed conflict behind the scenes: mad cults and hidden alien alcoves working to release the Old Ones, against a few enlightened people and groups fighting to protect the status quo. The Mythos needs to be a “victim” game, I believe, to generate the appropriate tone for the setting. NPCs, and even PCs, need to die fairly regularly: the underlying concept of titanic forces being held desperately at bay would otherwise be rather difficult to attain, and while I may be mistaken, I don’t think any form of “Cthulhu Mythos Lite” would be very satisfying to anyone. Elements of more “typical” gothic horrors, such as vampires, werewolves, and the like, could be brought into the mix as well if it was felt to be necessary. The Mythos itself allows characters to learn “magic” on a piecemeal basis, and weird science is a staple of the setting as well. 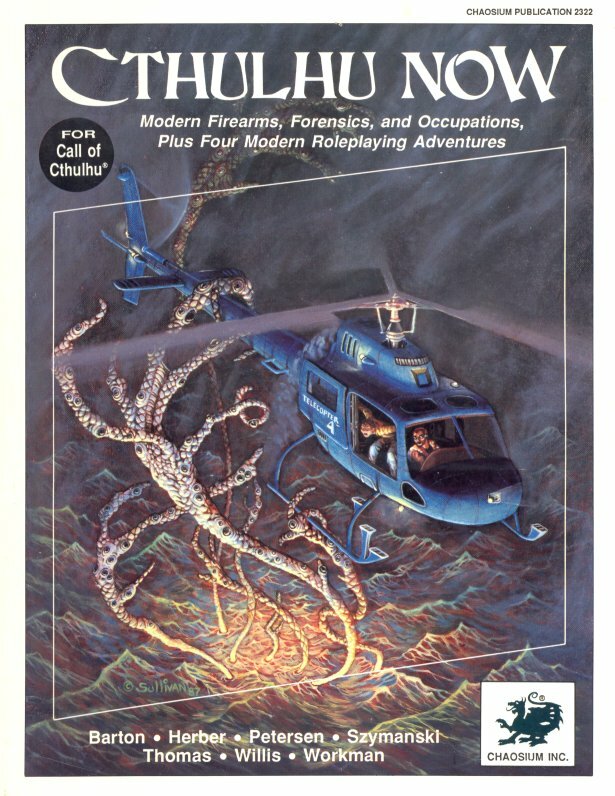 Implementing the Sanity mechanic of the Chaosium rule system could be a interesting quirk of the design: certain Cthulhu-based CRPGs and adventure games have made good use of the mechanic, and it could be expanded upon even more in the MMO setting, I think. The game could also be set in nearly any time period, from Renaissance Europe to modern-day North America, although to be completely true to the fiction, late 19th and early 20th Century New England would probably be the best choice. 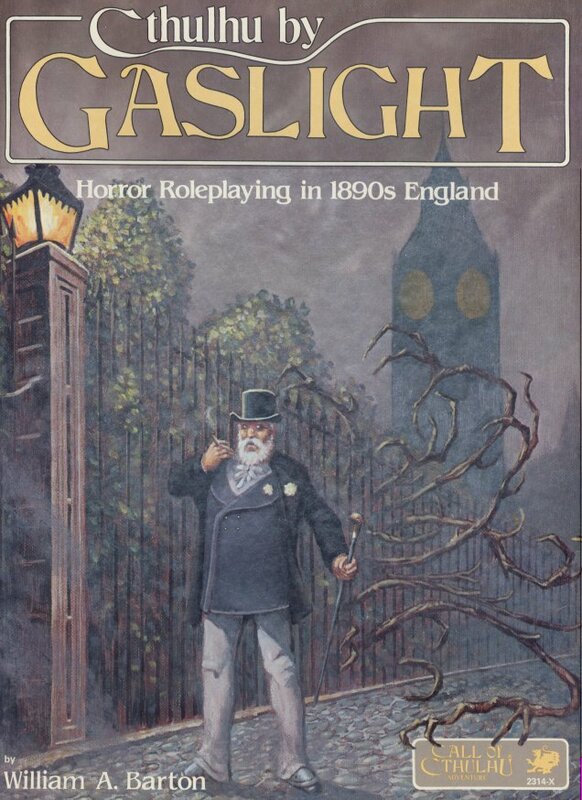 Various scenarios may well take the characters all over the world (and beyond), but having them based in Boston, even Innsmouth itself (after the cleansing, preferably) may help add to the proper ambience for those familiar with the fiction. I visualize this as a heavily instance-based game, similar to Guild Wars and the like. Certain areas exist for mingling, grouping, and preparing, then the players decamp to instances to explore, whether it’s to an ancient decrepit farmhouse in the backwoods of Vermont, a lost tomb in the Euphrates river basin, or to an ice-buried alien city in the Mountains of Madness deep in the Antarctic. I think a decent mechanic that would help players keep playing after their character is permadead would be, say, a system that keeps track of your dead characters– and when you make a new character, allowing you to specify a dead character as having taught/tutored the new one in a skill that the dead character was good at. End result? you start with 1/4-1/2 the dead character’s aptitude when it comes to said skills, and the character improves themselves in those fields at a higher rate. I’ve been in the process of developing a skill based, multiple setting RPG with rules for finding specific settings, and most types of deaths let a character do something similar with a reincarnation system if no one can raise them. There is one type of death that’s unrecoverable, and it’s directly connected to the fact that said system uses time travel rules that are merged with those concerning alternate realities. It’s basically a major paradox being triggered and wiping the character out of the time-line and normal existence.